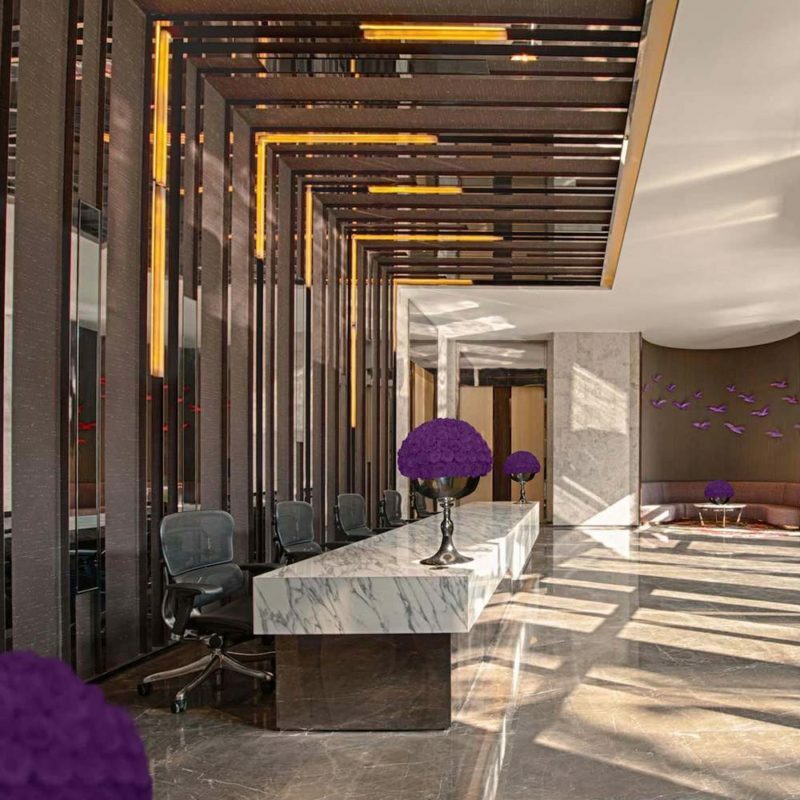 At KONTOR 202 we work on projects whose end goal is to create multisensory environments for indoor spaces. Moving furniture around or changing colours, putting up new lighting or new furniture may not always have the desired effect. With floral & plant/green interior decoration it is possible to rapidly and radically change the appearance of a house or indoor space. 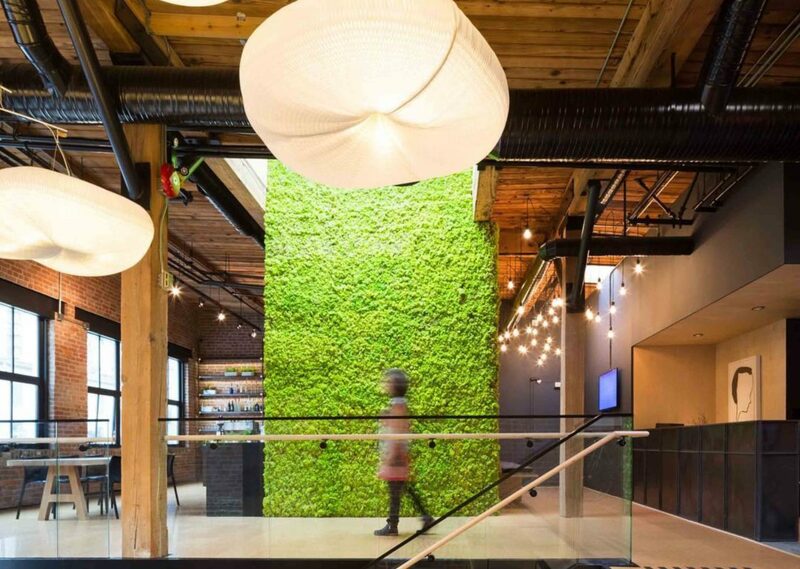 As discussed in our previous blog, live plants, have some serious drawbacks when installed in an office environment. At KONTOR 202 we therefore primarily work with preserved flowers, plants, mosses and foliage. Preserved plants require no light or watering and the maintenance requirement is next to nothing and for as long as the preserved plant is kept indoors in a preferably air-conditioned environment, with minimal exposure to UV, or high heat emitting light sources, then the plants will remain in their fresh-cut state for many years. There are many types of preserved flowers available today, such as Roses, Hydrangeas, Orchids, Chrysanthemum, Carnations, Gardenia, Gerbera, Dahlia, Lily etc. Although we are able to provide all those mentioned, we mainly work with preserved roses that can last for up to 3 years if not exposed to water and direct sunlight. We create bouquets from preserved roses in vases of any size and in our branded Chloe Flowerbox, CHLOE • by L’ATELIER KONTOR 202. These arrangements make for fantastic centre pieces on a meeting table or the reception area, thus welcoming any guest or smoothing negotiations at a conference table. Desk areas become more inviting and are a highlight for even the most chaotic colleague. Turning to a desk plant, touching it, is revitalising. Slight movement of plants breaks concentration away from a task for just a second, enough to reboot mental systems and improve focus again. It is common knowledge that plants offer excellent acoustic dampening effects. Open plan offices often have issues with sound travel. Plants, moss panels and green dividers can easily fix this. We have a large variety of preserved plants to choose from. This ranges from tiny bonsai trees and small topiaries to up to 2.4m tall Eucalyptus trees and up to 6m tall Palm trees. These can be placed in any area indoors as they require neither light nor water. Plants, preserved hedges or bespoke dividers make for fantastic room partitioning, create a greater degree of privacy and dampen noise. A note on the side: There is however nothing that can beat a preserved moss wall or frame incorporated into interiors, bespoke to your style. 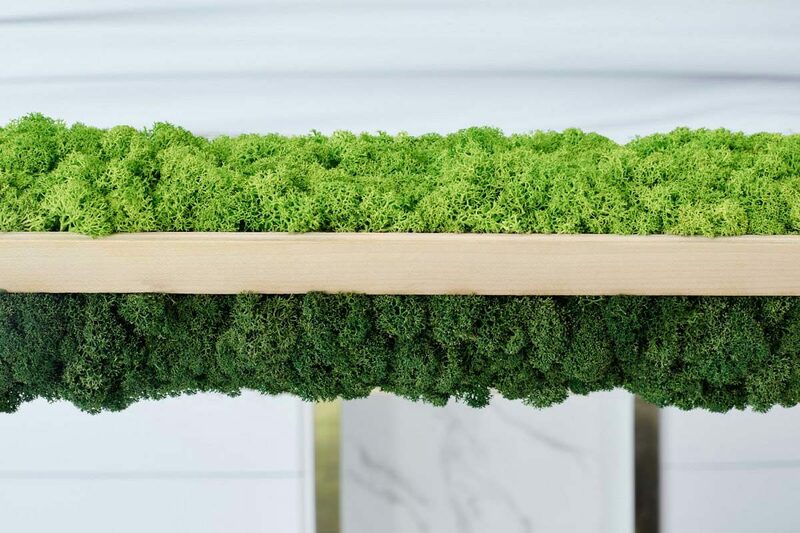 The most prominent material we use at KONTOR 202 is Polar Moss also known as Reindeer Moss or Lichen. The versatility and applicability of polar moss is something else and the benefits far outweigh any other materials for a natural interior, combining the timelessness of nature with modern design. Moss walls also carry some amazing scientific benefits. Insects are unable to create a habitat within polar moss. In actual fact it is a hostile environment for insects. It also does not go mouldy nor does it decompose. 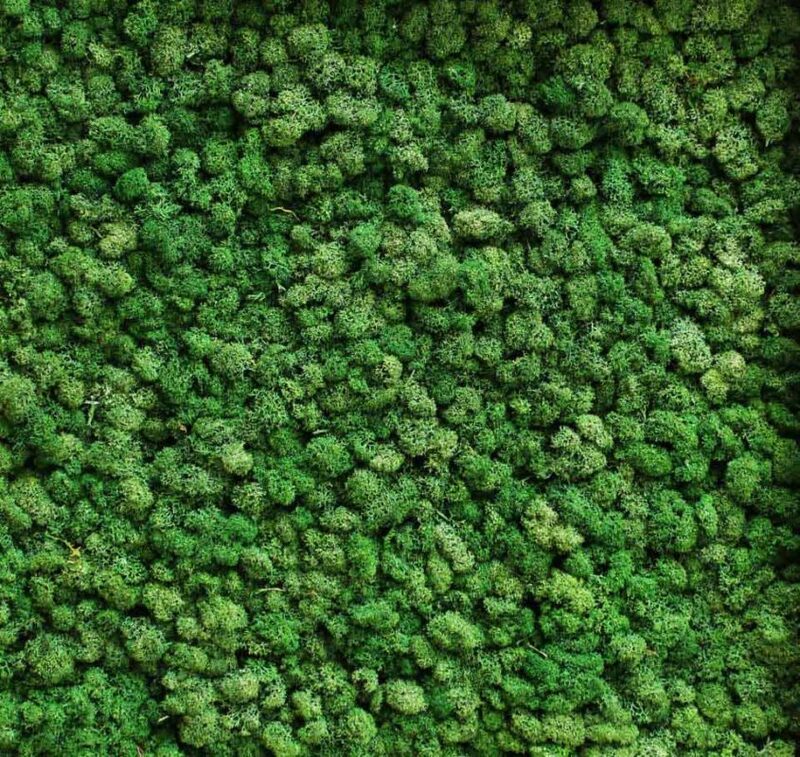 The stabilization process makes moss walls extremely resistant to dust. In the unlikely event a deposit of dust is noticed, this can be removed by patting with a cloth for antistatic dust. Tests carried out by the Texas A&M University have shown that men and women demonstrated more innovative thinking and problem solving while working in a green workspace. 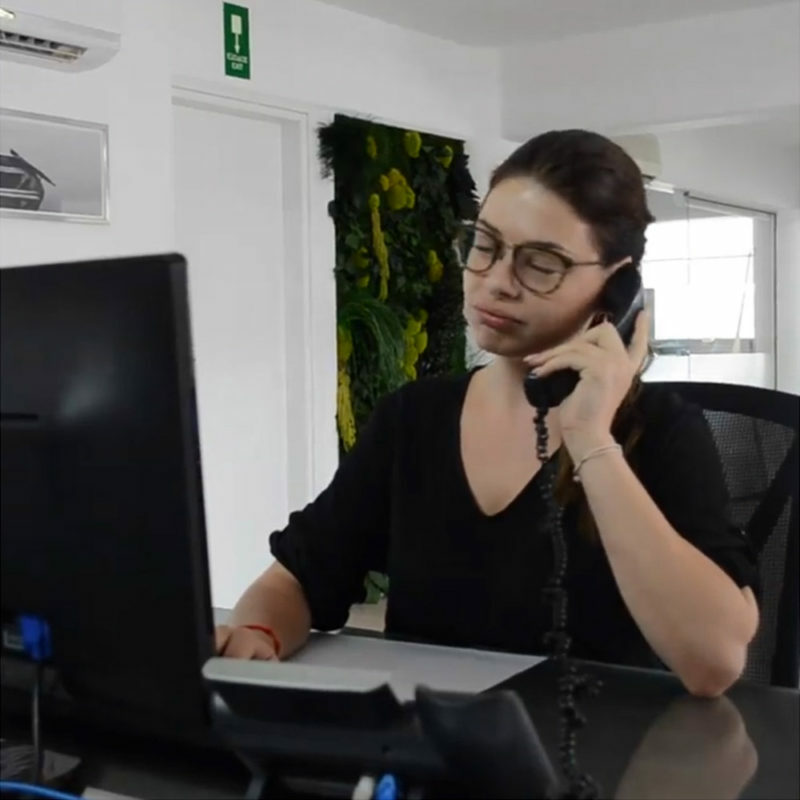 In another study, by Dr. Virginia Lohr of Washington State University, stress levels in employees at different workstations was measured. 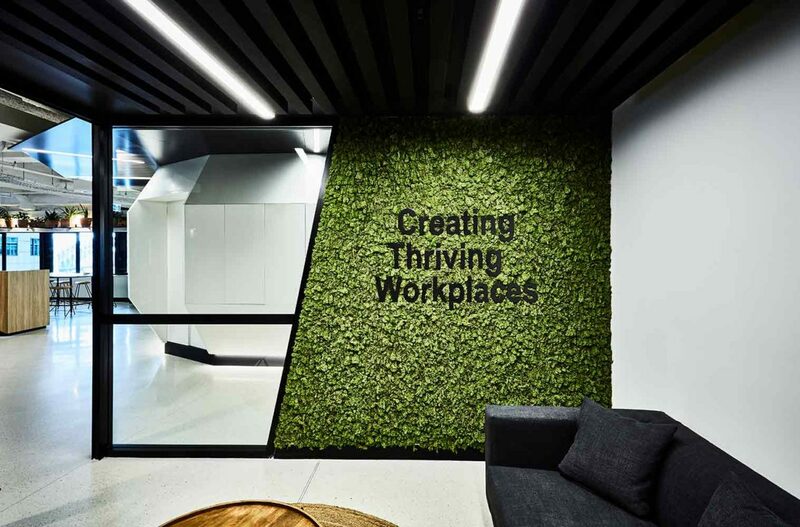 It was found that participants working in environments with plants were 12 per cent less stressed than participants working at workstations without plants. Moss performs well in lowering decibel levels of an interior environment. Moss tones down unwanted high frequency sounds and calms the atmosphere for a relaxing experience. Moss has the ability to absorb moisture out of the air when humidity is high and then release it back to the air when humidity is low. It can help to stabilize moisture levels in a room and maintain levels of relative humidity at between 40 and 60 per cent. A research done by Amanda Green of the Royal Agricultural University in Cirencester in England found that students were 70% more attentive when taught in classrooms containing plants. Additionally, attendance was higher for lectures offered in rooms containing plants. KONTOR 202 | Atelier & Lifestyle Lounge builds natural and sustainable environments, in harmony with nature. Each decoration transmits the benefits and sensations that nature brings both to the indoor environment and the people that occupy these spaces. 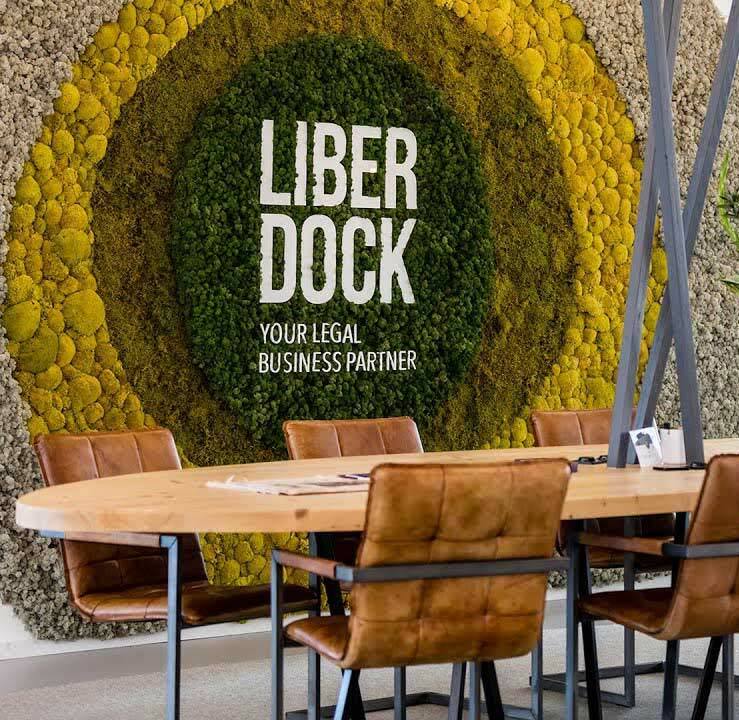 This entry was posted in Living Vertical Gardens, Preserved Green Verticals and tagged cyprus, green office, green walls, interior design, kontor202, limassol, living walls, multisensory office, office interior, urban green, workspace.